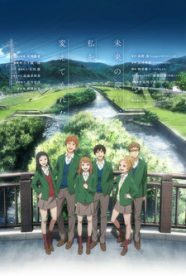 While the Winter 2015-6 season was a fairly surprising one for me in a positive way, the Spring 2016 was the opposite … several series I had some interest in before the season began either were frankly boring or downright flops for me – perhaps the biggest examples for me of outright flops were Mayoiga, Koutetsujou no Kabaneri and Wagamama High Spec, while series that were disappointments would include things like Bungou Stray Dogs, Joker’s Game and Sakamoto desu ga. 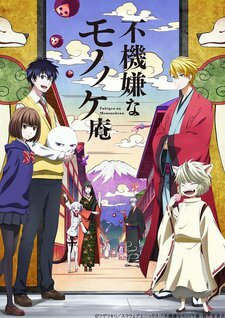 There were also series that I was looking forward to and which were good, but did not quite live up to my expectations, including Tanaka-kun wa Itsumo Kedaruge and Kuma Miko. But to be fair there were plenty of series that lived up to my expectations, including the delightful adaptation of Flying Witch, Ushio to Tora (2016) and the incredible Concrete Revolutio: Choujin Gensou – The Last Song. And also there were a few pleasant surprises, including Sansha Sanyo and Twin Exorcists. And there was one huge surprise: Kiznaiver, which I really enjoyed. The Summer 2016 season this year looks pretty good from where I am sitting at the moment, though only decently good at the moment. Interestingly, though, I have heard several other people saying quite the opposite – summer for them looks quite strong. As with summer seasons this one has its share of sports related series and quite a few action related shows. As before, there are a number of sites that have well developed anime previews, including the sites at: livechart, anichart, and neregate. Without a doubt this is my most hyped series of the season. The mangaka and artist of the source manga of the same time is Kozue Amano, the same one who wrote and drew the heart-meltingly lovely Aria franchise source manga. In the Spring season J.C. Staff did a superb job adapting Flying Witch, and I am really, really looking forward to their adapting this manga as well. If they can even appraoch the level of beauty in Kozue’s illustration of the water and the underwater world this will be downright breathtaking. 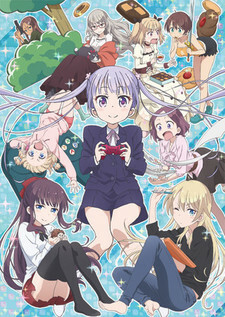 The second choice of three manga adaptations in the list of series I am most exited about this coming summer season, this is yet another Kirara manga adaptation, and this time it is squarely in the hands of Doga Kobo studio, who are quite frankly very much at home and very skilled at adapting comedic 4koma material of this sort. I have been reading the manga for some time now and it should be very pleasant – I am especially interested to see the frequent “extra material” Doga Kobo often introduces into their adaptations that invariably “enrich” the franchise they are working with. Of all the visual novels created by Key over the years perhaps this is the one has been the one that has been most fervently wished for. It certainly is in the hands of a studio that has a good track record for beauty of animation (David Production), and … well … I don’t want to spoil too much, but this is regarded by many who have played it as not only one of the darkest but also one of the most moving of all of Key’s works. 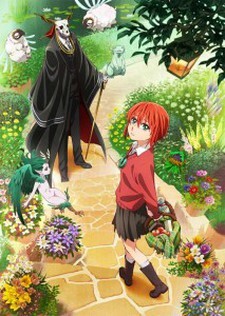 This will be a series that will both receive a movie and a 5 OVA treatment. 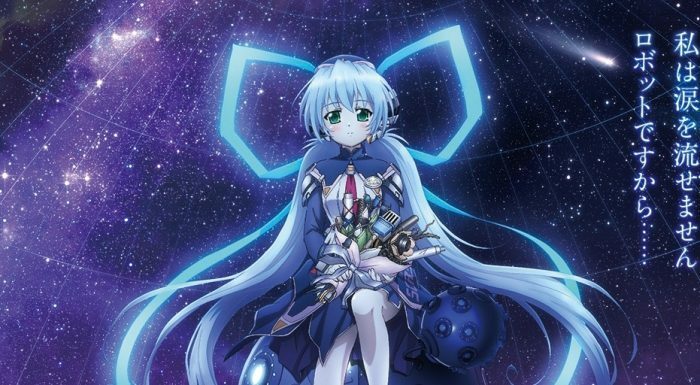 The final anime airing this season based on a source manga in this list but, like Planetarian, also an OVA series. These OVAs will be spaced quite a bit apart, but the PV for the first one coming next season looked absolutely spectacular! 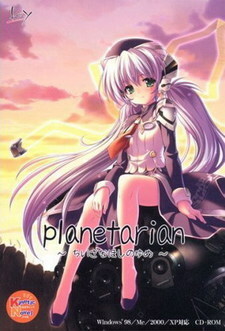 And not only visually – the OST accompaniment and the VA work sounded downright excellent. The story itself delves into the realm of ancient Celtic folklore, prehistory and myth, and is very, very engaging and deep at the same time. 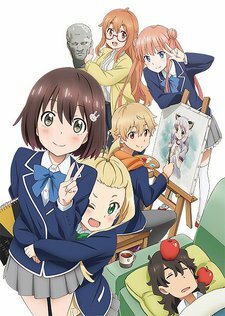 And yet another anime adaptation of a source manga … it is written in a very heartfelt way, but early on kinda reminds me of a mix of the beginning for Usagi Drop with some Koufuku Graffiti themes sprinkled in. Still, I think for it to be effective it will have to be handled with deft fingers … to my mind it could easily fall flat or come across like a broken bell’s tone or be “hamfistedly bloodsucked” for “dem feels”. If the studio can nail that sweet in between spot then this will be a good series indeed. The manga this is based on is … well, let’s just say that it is not a peaceful one. There is no violence, but there is drama – and lots of it. As usual, it’s detractors say it is a drama fest and manipulative and so on, while it’s supporters praise its ability to get right under one’s skin and into the heart. I … well … I kinda had mixed feelings about it, but again, if handled with discretion and “tact” it could be another really good series. 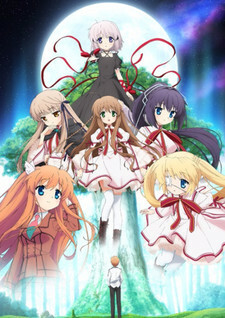 Yet another Key Visual Novel being adapted by the summer season (yay!) and yet another series I have heard talked about so, so much in terms of how it is an incredibly complicated and involved story that is moving and powerful. So what does the studio do? They dedicate the narrative to a brand new one not used in the novel itself! Yes indeed – color me very interested to see what they do with this one. 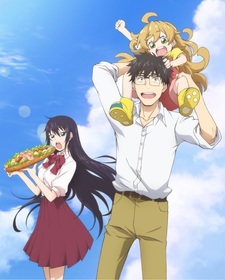 This is one of the manga anime adaptations that I am interested in this season but that I have NOT read the source for – so I am going into it blind. The subject material kinda reminds me a little of “Natsume’s Book of Friends” … sorta … but with a sense of humor/comedic elements? The PVs and talk I have seen and heard about it has piqued my curiosity … and I tend to enjoy older folklore themed youkai, etc. stories, so this one has the potential to turn into a sleeper series, I think. 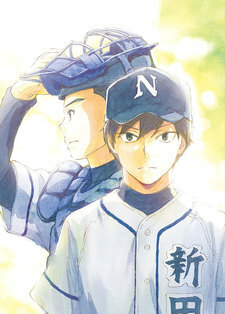 Okay, Sports anime based on “standard Western sports” are a difficult sell for me in general (though not as hard as mecha), but after watching the stupendous series Cross Game I have found myself a little more willing to give baseball stories a try, and shorter series like Taiyou Baseball Girls or Moshidora have worked pretty well for me, so when I read the summary for this series and saw the length I found myself curious and willing to give it a try. This manga … I dunno … this is one of those series that will either really succeed or really fall flat, I think. The manga has a lot of potential but the comedic timing is unpredictable and … different. At least it was for me. But it did have some really strong moments as I was reading it (it is still an ongoing series). This could be another sleeper series – again (to beat a dead horse here) depending on how it is handled. Some may remember that I blogged the series in the Spring 2015 season and loved it – it was an unexpected surprise hit for me that I had no initial intention of blogging as well. But it was one of those series that seemed to end very nicely after its 12 episodes, so when I heard of it getting a second season, even if it was to be a shorts series, I found myself puzzled, even though I knew the original series to be a very successful series financially. Of course it would be nice to visit with the characters once again and visit the world … but … umm … it felt like there was nothing left to “say”, somehow? Well … it will be interesting to see what the shorts series will bring. In terms of carryovers from the previous season there are three that I am following: Twin Exorcists (which was quite a pleasant surprise! ), the little talked about Momokuri and the awesome work of the franchise that Mahou Tsukai PreCure is turning out to be. 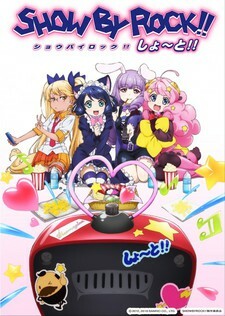 The Short series for next season looks even worse than Spring 2016, with the only the aforementioned Show by Rock!! Short!! series out there for me together with Honobono Log. 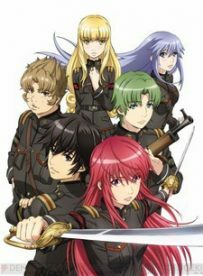 As far as OVAs and the like the the last of the three Aria the Avvenire OVAs is arriving soon, and the final Tamayura movie should be available any day now, but there is also a two OVA series from the Akatsuki no Yona series titled Zeno-Hen. Movies in the theatres looks a bit more interesting during the Summer 2016 season, with Kimi no Na Wa (a new Makoto Shinkai film), Koe no Kotachi (I enjoyed the manga quite a bit) the Planetarian film (a different take than the narrative of the OVAs), and Kaze no You ni (an older time about a beekeeper? interesting). 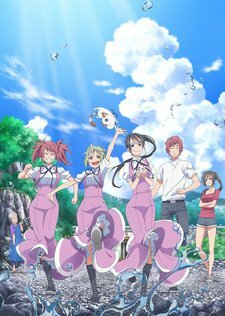 As far as blogging plans for next season, I plan to take up Amanchu, and will also take up the the new OVA series of Planetarian: Chiisana Hoshi no Yume and Mahoutsukai no Yome: Hoshi Matsu Hito.